Stephen Gandy has a good explanation of the DR Summicron on his site if you want to check out more information on the DR. 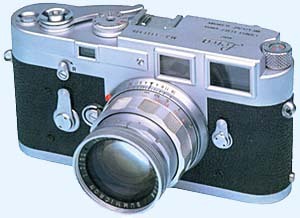 In brief, the DR Summicron can be adapted to macro usage by the addition of a pair of spectacles which clip onto the lens for close focusing. The lens kit I have says more about my budget than it does about cutting edge Leica lenses. The majority of these were produced in the 1960's, but for a guy who did his Masters thesis on 1968 it makes perfect sense,right? All of these lenses will give you more than adequate performance, but they will show their age if you compare them to the latest designs. For more about the comparisons of Leica lens design, the undisputed heavy weight champion of the Leica world is Erwin Puts. You can read more by going to his site by taking the link at the bottom of the page. The 135 and 90 are mostly used with my Visoflex II at the moment. Although the M3 provides framelines for 50, 90 and 135 lenses, I had a difficult time visualizing with the 135 frameline. At some point i'll be saving for an M2, which will give me framelines for 35, 50 and 90 which are my favourite focal lengths. Why didn't i get an M2 to begin with? I simply couldn't find one that was affordable. However, the first thing i will be saving for is a 35/1.4 Summilux. After shooting for the last year or two with the M3, i found that i was shooting more and more in available darkness than light. A great deal of this had to do with when i like to photograph-no, not night time-but usually when it was raining and people downtown were crossing streets with whatever came to hand over their heads, grimacing at another day in the capital where the wind was driving horizontal rain into them. Because i can't afford a Summilux, but found i was needing wider apertures, i've invested in a 1969 Nikon FTn that came with a 50/1.4 lens in very 'user' condition. There's more about that experience on the Nikon page if you're interested. There is a growing wealth of Leica information thanks to the internet. Here are some comprehensive sites of information if you want to find out more about. the M Leicas. Erwin Puts provides an excellent archive of scientific information, lens tests and history. Stephen Gandy's Camera Quest is a wonderful 35mm resource that encompasses a lot of camera history. If you're specifically interested in the M3, this site will provide you with some ideas of the M3's history. The Leica Historical Society of America is worth subscribing to if you can afford it, and is an excellent resource of information and experience. There are some online articles from their 'Viewfinder' magazine available on the site also. Hans Pahlen is not only a great guy, he also has a wealth of information for taking your M's to the next level. Included on Hans' site is information about Tom Abrahamsson's wonderful Leica equipment, and details about the LUG/Leica Users Group. If you want to spend some time discussing Leica, there is also an excellent user group moderated by Roger Beamon. You can subscribe through the Topica website, or by visiting Andrew Nemeth's site. Tom Abrahamsson is also another great guy. And i mean great! Apart from being an all-round great guy, Tom adds new life to Leica's. I use one of his soft releases on my M3, where it will live for the rest of my camera's natural life. Tom's 'softies' are the first thing you should be buying for your camera. When you've done that, you should then buy his rapid winder. If you're using an M2 or 3, you should contact Richard Wasserman who will be able to equip you with a rewind crank that will speed up your rewind and will add 5-10 years of life to your hands and fingers. If Tom makes 'Softies', Richard makes 'Cranky's'. Andrew Nemeth has a Leica Faq with some great information.